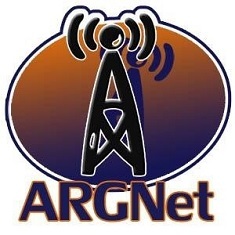 For the second year in a row, ARGNet is pleased to be partnered with the PICNIC cross-media conference! PICNIC’07 takes place at the Westergasfabriek in Amsterdam from September 25th through the 29th, during which a wide variety of events and discussion will take place. This year’s festivities also include a Come Out and Play event — London and New York have also been COaP sites. Last year, Sean C. Stacey and Brooke Thompson represented ARGNet at the conference, and provided a number of articles outlining the presentations and events that took place at PICNIC’06, and Sean will be returning this year, so expect more of the same top-notch reporting as last year! PICNIC at Night, one of the festival’s special features, is a series of concerts and exhibitions that include various aspects of cross-media entertainment, from live music by worldwide artists to virtual worlds and groundbreaking animation. These special evening events are sponsored by companies such as Red Bull and Heineken, as well as the Creative Commons organization, and should deliver enjoyable, entertaining experiences to attendees. On the final day of the festival, the PICNIC Green Challenge will take he spotlight as participants present their ideas for products and services which help to reduce greenhouse-gas emissions. Entries for the contest were taken up until August 30th, and finalists have been notified. The selected will get their chance on the 29th to stand in front of a jury made up of Richard Branson (Virgin), Liesbeth van Tongeren (Greenpeace Netherlands) and Steve Howard (The Climate Group), among others. The winner will be announced on the 29th, which should be very exciting for those in attendance. If you are going to be in the Amsterdam area at the end of the month and wish to attend, you can register for the event online. The full conference cost, for three days, is €950, while a single-day pass is €495. Registration spots are filling up fast, so if you want to get in on the cutting edge of cross-media development, now’s your chance! We will have much more about the conference in the weeks to come, including a closer look at the Come Out and Play and PICNIC’07 Academy segments. Hi lovely people at ARGN. Just a small thing, Hide and Seek (which you link to in the above article), wasn’t actually affiliated with Come Out and Play. We love COAP but we stand on our own shaky legs… Having said that, several games from H&S are travelling to COAP, and vice versa, so maybe we should just admit that we’re made for each other and merge into one global uber-festival.